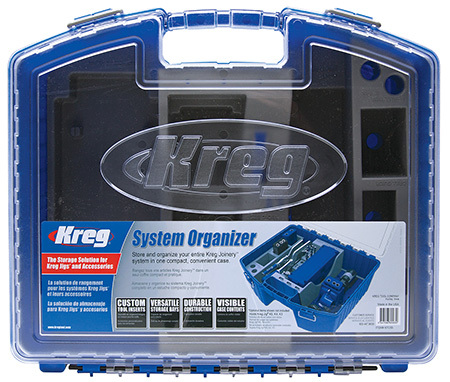 The Kreg System Organiser is the perfect unit to store and organize all your Kreg Joinery system parts your Kreg Jig®, Kreg Clamps, Kreg Screws, drill and driver bits, and more. The System Organiser is the perfect unit to store and organise all your Kreg Joinery system parts your Kreg Jig, Kreg Clamps, Kreg Screws, drill and driver bits, and more. A portion of the tray can be removed for storage of other items such as the Kreg Shelf Pin Jig, compact drills, and drivers, and more. 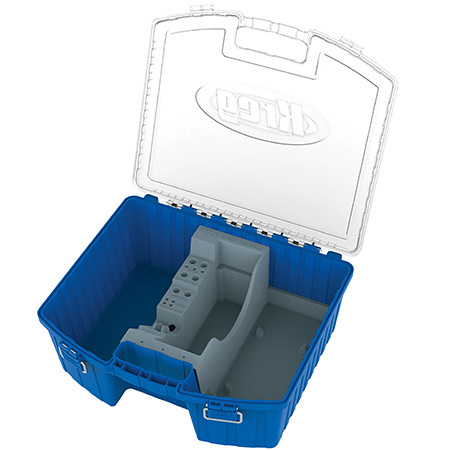 It's easy to keep track of everything stored in the new Kreg durable construction System Organiser thanks its custom tool inserts, versatile storage bays and transparent lid. A pair of heavy-duty clasps ensure that lid stays shut, and a large handle makes the Organiser easier to carry and take your Kreg tools to the work place. In addition, a portion of the Organiser's tray can be removed for storage of other items such as up to 6 Kreg Screw 500-count containers plus additional clamps, Kreg Shelf Pin Jig, Compact drills, and drivers. “This is the latest of the Kreg System Organisers and has to be one of their best units they have ever made,” said Dale Engelbrecht, Director at Vermont Sales. “They seemed to have allowed for almost everything in the new unit, they also must have done something right as the new unit received great international reviews. 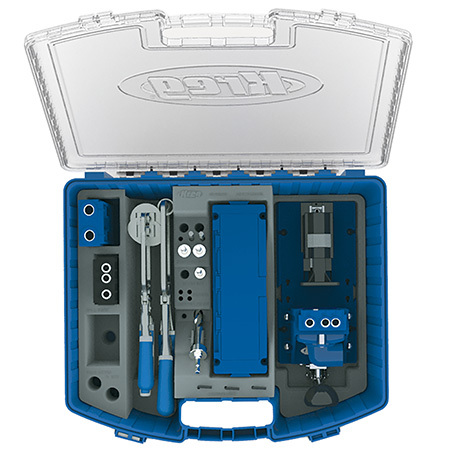 If you have added to you Kreg family of tools, which most Kreg owners do this new unit must be your next best buy”. Kreg is a major brand from Vermont Sales operation and available at leading hardware stores countrywide. For more information visit their website: www.vermontsales.co.za.